James Story has become the first Welsh junior to reach the Australian Open for over 30 years after qualifying for the main draw in the Boys’ singles. The 17-year-old from Cardiff came through two tough qualifying matches in the searing heat of Melbourne. Story will face American No 16 seed Eliot Spizzirri in his first round match on Saturday (Australia time). He is the first Welsh player to reach the main draw in Australia since Sarah Loosemore in 1988. 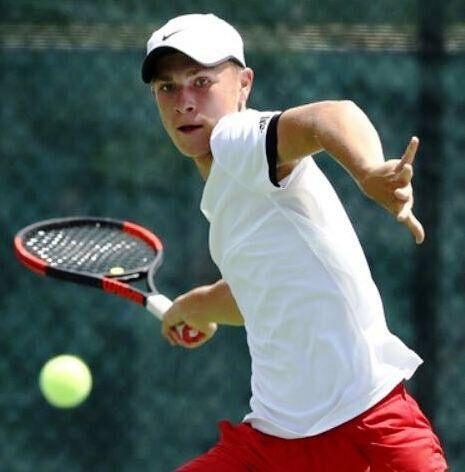 So proud of @jamesstory123 – the 1st #XLTennis pupil to compete in a Junior Grand Slam @Wimbledon! Simon Johnson, Interim CEO for Tennis Wales, said: “This is a fantastic result for James qualifying for the Australian Open Boys event. “We hope his success continues to inspire other younger players in Wales to get on court and compete at the highest levels of the world game. Everyone in Welsh tennis wishes James a great run in Australia in the main draw later this week”. Store beat Australia’s Alex Bulte 5-7, 6-4, 6-4 in his first qualifying match before seeing off Egor Agafonov of Russia 6-4 6-7, 6-4 to clinch his spot in the main draw alongside many of the world’s top juniors. This will be his first experience of playing singles in the main draw of a Grand Slam event though he did reach the semi-final of the Boys’ doubles at Wimbledon last year. Thornhill-based Story, who has been playing since the age of three, has targeted a spot in the world top 100 for juniors this year as well as competing in all the Grand Slam events on the tour. He now trains at Cardiff Met University within the XL Tennis Academy programme working with Chris Lewis having been coached until aged 11 by Ellen Jones.